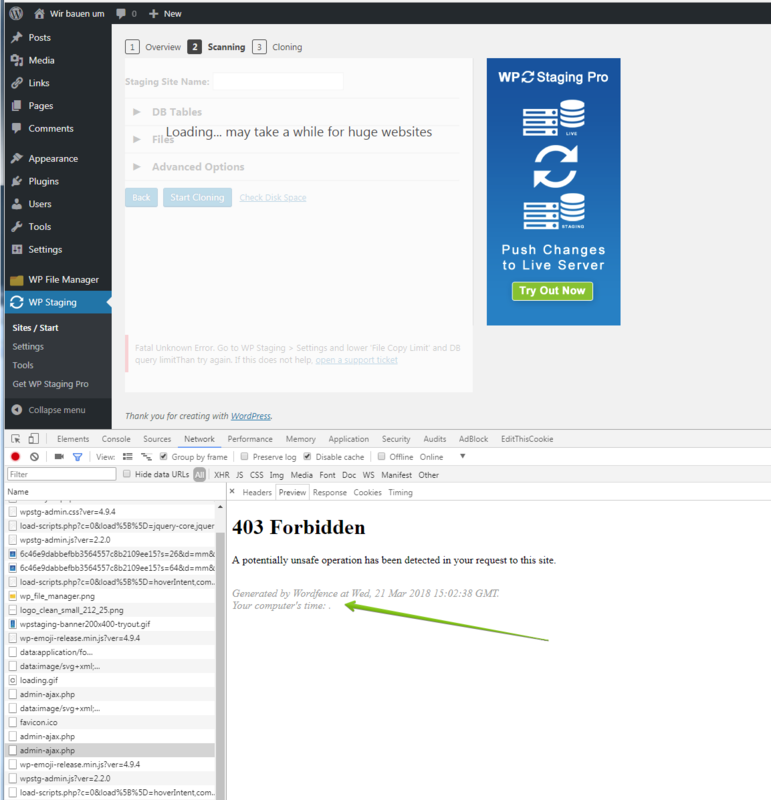 If you are trying to run WP Staging and it’s immediately stopped before the cloning process can be started, it might be worth to check if you have the Wordfence security plugin installed on your website. It gets worst. This blocking of the file admin-ajax.php can even happen on sites where Wordfence is disabled at all as long as it is activated on the main website. The reason is Wordfence scans through all files in an iterating way no matter if those ones belong to the site where Wordfence is installed or not. If there is one instance of Wordfence running in the parent WordPress installation it affects all the wordpress sites that are located below of that particular website, e.g. 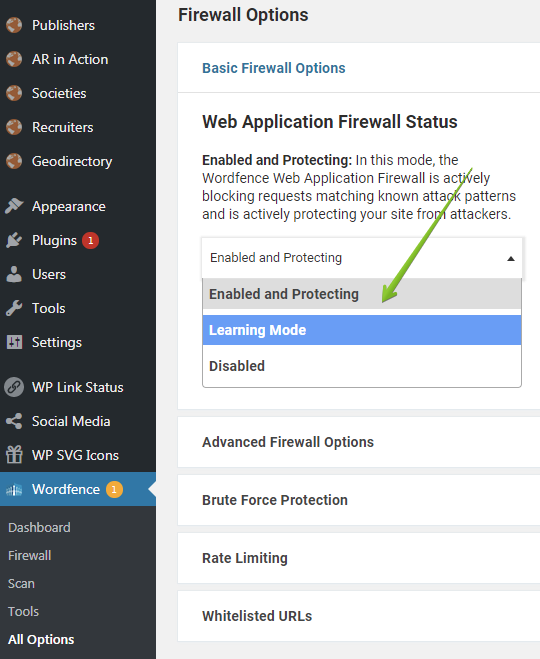 To prevent the issue, Wordfence must be configured properly in the parent wordpress and should be reconfigured in the child wordpress installations as well. must have the training mode activated.